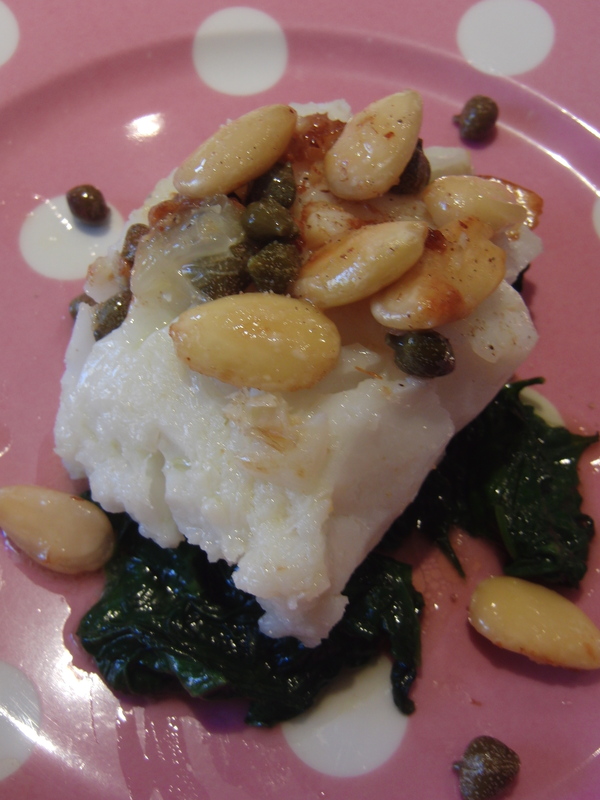 Cooking in Versailles: Cod with Whole Almonds and Capers over Spinach. Oh and a Cheese Souffle. 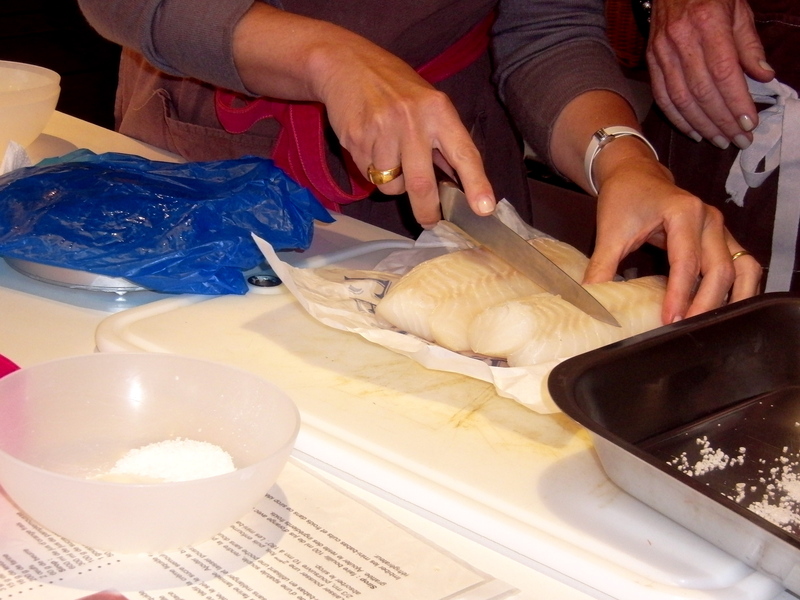 After our walking tour of Versaille’s renowned market, our little group returned to the sunny L’Atlier Cuisine de Patricia for a morning of intimate cooking. Patricia, a graduate of Le Cordon Bleu, opened her stunning cooking school a few years ago after a career in Human Resources. She was eager to make a life for herself doing what she loved, and now she warmly shares her passion with visitors and locals alike, including classes for grade-school children in the neighborhood, in which she introduces them to fresh ingredients and conscious cooking. If you are looking for a truly hands-on experience in a beautiful kitchen outfitted with professional appliances and equipment and overlooking cobble-stoned Versailles and its famous market, mosey up to Patricia’s atelier. Before you call on Marie Antoinette, call on Patricia, and start the day with a French meal made with ingredients fresh from the market. Our little group gathered around the oversized center island, aprons tied, and one by one, got to work. 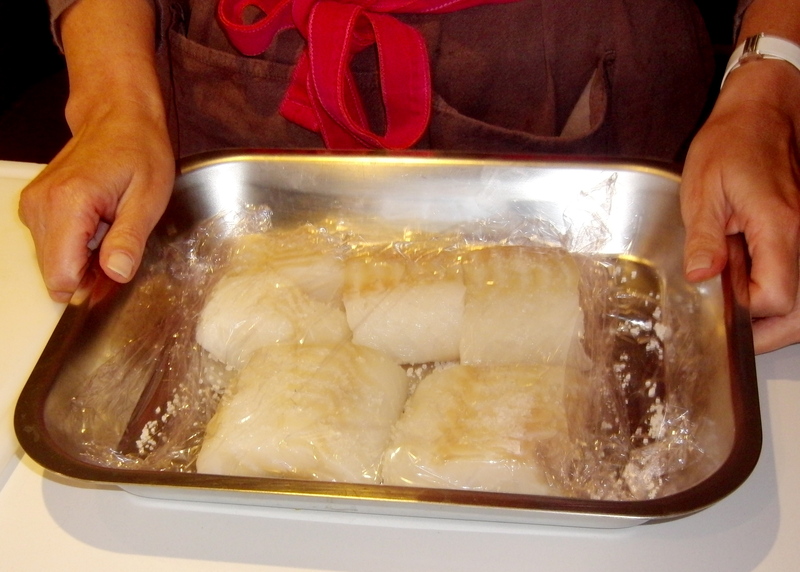 One little piggy went to the cutting board to slice the cod into serving-sized fillets. One little piggy commenced with the pastry for the baba au rum, and one little piggy picked the stems away from every single baby spinach leaf in a heaping pile of spinach. 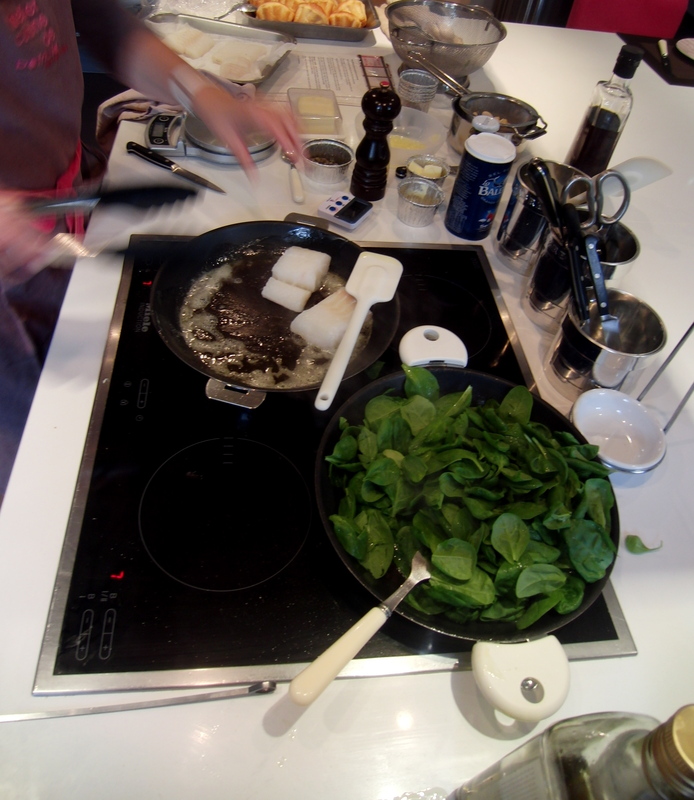 Patricia explained that she is a perfectionist, as all professionally trained French cooks tend to be, and not one of our baby spinach leaves was left unattended in this process. We salted the fillets, placed them in a dish for storing, covered them with plastic wrap, and popped them into the refrigerator until it was time to cook them. 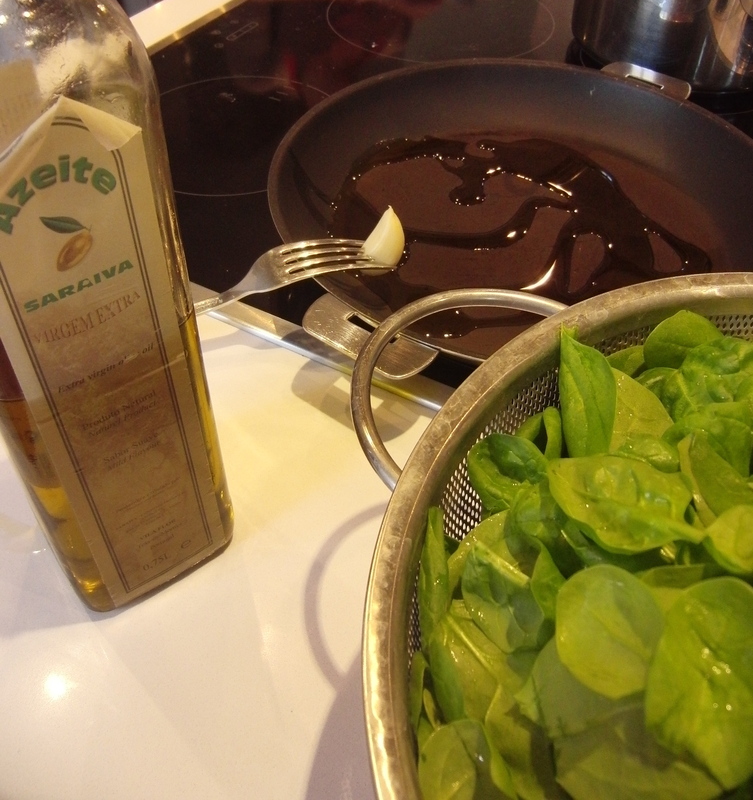 The spinach was simple: we heated oil in our saute pan, swished around a whole clove of garlic, added the spinach, and allowed the bitter greens to wilt. 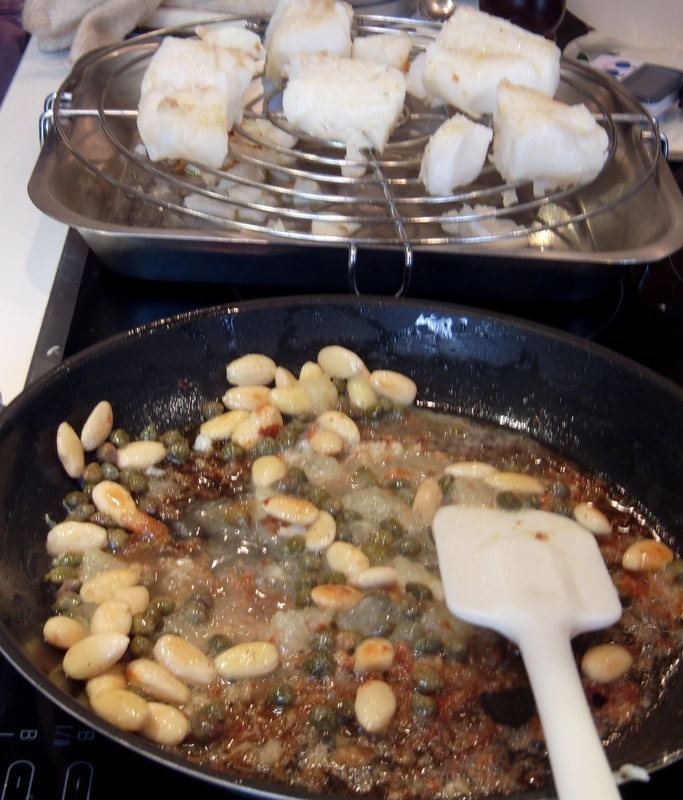 After the cod fillets sauteed in a little bit of butter, we added the whole, blanched almonds and the capers to that same pan along and allowed these ingredients to heat up and infuse with the leftover flavors in the pan. 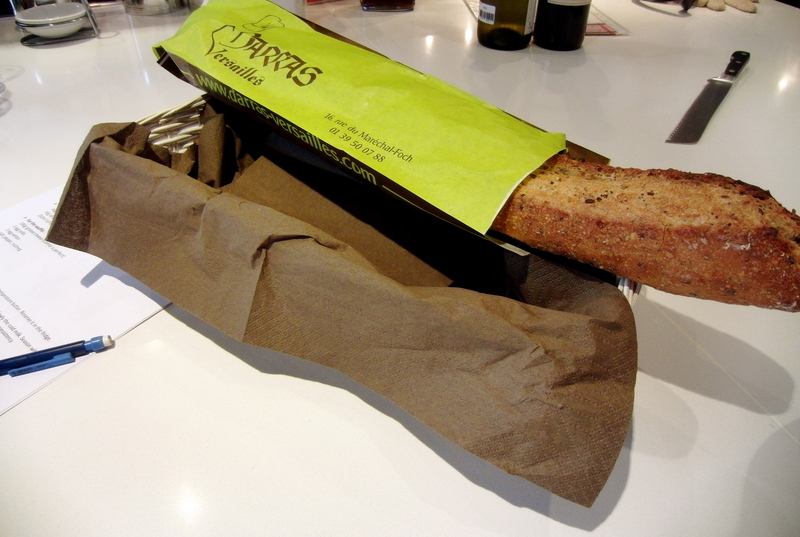 Of course, no French meal is complete without a loaf of exquisite, still-warm bread. 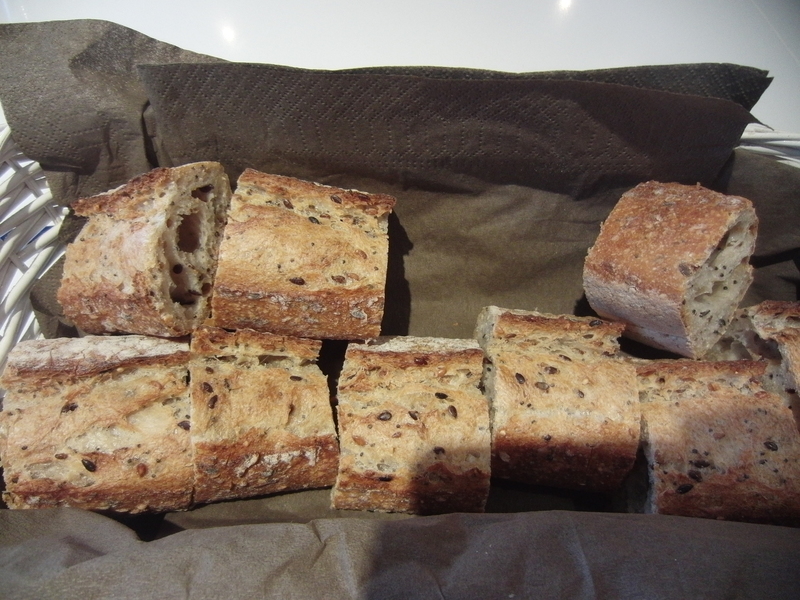 Ours was from Darras à Versailles on the corner, a heavenly whole grain loaf perfect for sopping up the flavorful oils from the cod and spinach. A morning with Patricia is a morning well-spent, and most certainly well-fed. Double Ginger Cookies: For the holidays, or just because.